Attn Bloggers: Amazing Giveaway Opportunity! 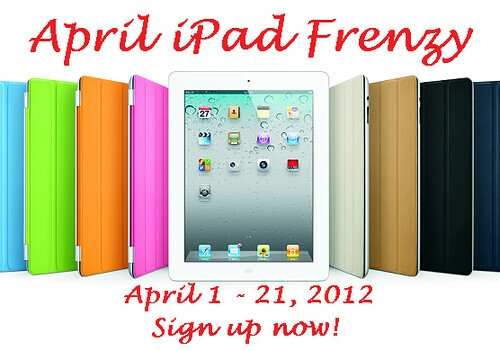 Sign up for the iPad 3 or $550 Cash Giveaway! Bloggers, join me in this amazing giveaway and give your readers a chance to win an iPad 3 or $550 in cash!! Send your $11 (+$2/addl link) signup fee to alice@bayareamommy.com AS A GIFT or add $0.60 if sending as a service. Please write your blog’s name on the notes. Post about the signups on your blog. You can find a complete HTML post here. $25 Amazon/Paypal for the blogger who refers the most number of other bloggers! A little more information can be found here. If you have questions or concerns, email Alice at alice@bayareamommy.com!